When the leaders of Russia, Kazakhstan and Belarus gathered in Astana for the historic establishment of the Eurasian Economic Union (EEU) on 29 May, one could not help but get the impression that Armenian president Serzh Sargsyan and his Kyrgyz counterpart Almazbek Atambayev, sitting in the first row among the audience during the ceremony, were eager to join them on stage. Already on the following day, Moscow and Bishkek agreed on establishing a development fund worth $1 billion for investment projects in the Central Asian country along with a $200m grant used for the implementation of a roadmap to join the Customs Union. But in Kyrgyzstan’s neighbour to the west, Uzbekistan, the political leadership has a very different take on the creation of a common market on post-Soviet territory. This concern over the loss of sovereignty is at the heart of the foreign policymaking of Uzbekistan. 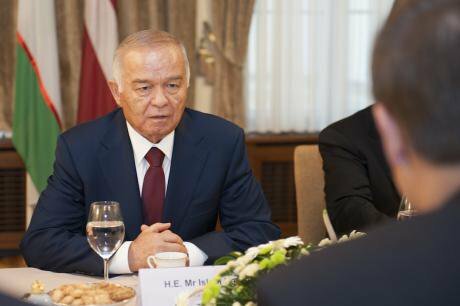 According to reports, President Islam Karimov strongly questioned the rationale and intention of the integration project: ‘Tell me, can there be political independence without economic independence?’ This concern over the loss of sovereignty is at the heart of the foreign policy-making of Uzbekistan. The country has never demonstrated a stable and predictable foreign policy direction; and its leadership has played foreign actors off against each other rather than pursing a constant alignment with Russia, China or the West. Just as the US saw their military presence in Uzbekistan suspended after expressing criticism of the Andijan Incident in 2005, Russia got a taste of Uzbekistan’s turnaround foreign policy in 2012, when Tashkent decided to withdraw from the Moscow-led military alliance CSTO, only six years after re-joining it. The normative foundation for this behaviour is best underlined in the foreign policy concept of 2012, stating that, as a sovereign entity, Uzbekistan has the right to enter or withdraw from alliances and inter-state communities as it pleases. The practical implication of this belief is that the country would not commit to any multilateral agreements if it perceives its interests to be compromised. Uzbek diplomats and politicians have expressed their unwillingness to take part in multilateral talks on various occasions, expressing their doubts about the efficiency and usefulness of such consultations. However, while Karimov and his advisers put forward the cause of national interest as a reason to justify any action on the international stage, their real underlying motivation lies with their concern for regime survival. Silencing political opposition, muzzling the media, and controlling the security services apparatus are all domestic aspects of regime security; and maintaining state sovereignty in international affairs is one further aspect of political stability. This also implies that dependency on other countries in terms of national security and economic prosperity can severely undermine regime legitimacy, and potentially spark societal pressure. Relying on the benevolence of Russian energy providers or financial assistance from Western development donors (as it is generally the case with Kyrgyzstan and Tajikistan) is thus out of the question for Uzbekistan’s political elite. The EEU, as Russia’s spearhead of economic integration, is of particular concern for Karimov and his inner circle since its main aim of guaranteeing the free movement of capital, labour and goods would constitute a threat to Uzbekistan’s pursuit of economic sovereignty. In 2012, remittances sent by Uzbek labour migrants from Russia to Uzbekistan amounted to $5.7 billion, a 12% share of GDP. Even the country’s huge cotton sector is largely outperformed by these figures. Uzbekistan’s participation in the EEU would most likely be followed by an increase in labour migrant flows to Russia, making it extremely hard for the country to be a self-assertive economic actor. 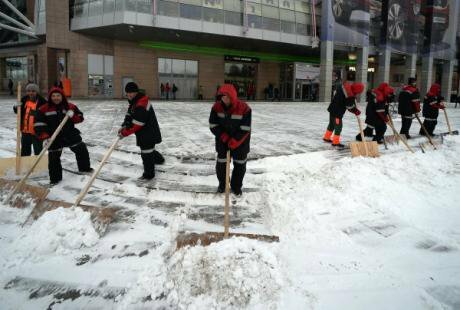 In a moment of rare public indignation last year, Karimov called Uzbek labour migrants in Russia ‘lazy,’ thereby revealing that labour migration is a high-ranking concern. Uzbekistan’s trade strategy is, in fact, strictly opposed to a free trade regime as advocated by the three EEU founder states. A policy of import substitution lies at the core of the country’s protectionist tendencies, aimed at sparking domestic production. Since July 2013, imported food, personal care products, computer and office equipment require Uzbek language labelling, and the Government is eager to localise production of chemical, energy, pharmaceutical and other goods at the expense of international trade. Analysing Tashkent’s view of economic integration through the prism of regime security also demonstrates that there is little concern for the social challenges currently faced by the country’s population. Even though the EEU’s eventual economic benefits remain arguable, the intention to coordinate agricultural production could well contribute to food security in landlocked Central Asia, an issue that is particularly prominent in Uzbekistan. But how successful has Uzbekistan been so far in maintaining political independence and achieving economic success? The state’s grip on the economy helped the country perform less badly than its neighbours after the disintegration of the Soviet Union, because price liberalization was only slowly and cautiously pursued. The cotton sector, an important source of state income and also elite rents, remains highly centralised, with prices set through a state procurement system. Bangladesh and China import the bulk of raw cotton from Uzbekistan; and South Korean companies invest in textile processing facilities in the double-landlocked country. The ‘Asian vector’ is of particular importance for Tashkent as Chinese and, to a lesser extent, South Korean companies substantially invest in Uzbekistan’s energy, automotive and chemical industries. In contrast to Russia, Uzbekistan’s remote Asian trade partners do not pursue political integration projects, thus posing as yet little threat to the political leadership. Under the current Uzbek leadership, then, prospects for joining the EEU are unlikely. Under the current Uzbek leadership, then, prospects for joining the EEU are thus unlikely. This might change in a post-Karimov Uzbekistan, but one can safely assume that any presidential successor would continue the policy of economic sovereignty in order to appease the political factions controlling the Uzbekistani ministries; and that only the failure of the current economic strategy would initiate a rethink.